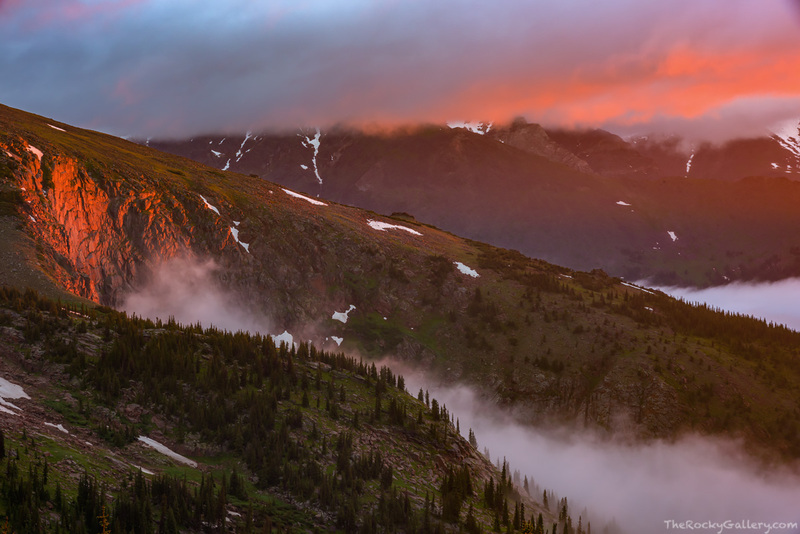 The flanks of aptly named Sundance Mountain catch a sliver of sunrise on a foggy morning near Trail Ridge Road. With the Mummy Range in the background, just a small amount of sunlight broke through the inversion layer hanging over Estes Park and Rocky Mountain National Park and set the mountains on fire with color. Photo © copyright by Thomas Mangan.